Washington – Sen. Richard Blumenthal‘s campaign has more sharply set its sights on a Larry Kudlow, a Republican who isn’t in the Connecticut Senate race — at least not yet — instead of August Wolf, a Republican who has declared his candidacy. Kudlow has said he’d consider running against Blumenthal if the Democratic senator supported the Iran nuclear pact. Blumenthal did. But Kudlow says he’s still deciding whether to enter the race. In fund-raising appeals, Blumenthal’s campaign said “Kudlow’s Wall Street friends ready to wire-transfer millions” into the Republican’s campaign. Meanwhile Wolf, a 53-year-old Stamford investment executive who has already run cable ads attacking Blumenthal, has been almost ignored. Jennifer Duffy, an analyst with the Cook Political Report, said using Kudlow as a bogeyman to raise money among Democratic donors is a good idea. University of Connecticut political science professor Ron Schurin, also said an attack on Kudlow is a smart move. Kudlow did not respond to a request for comment. 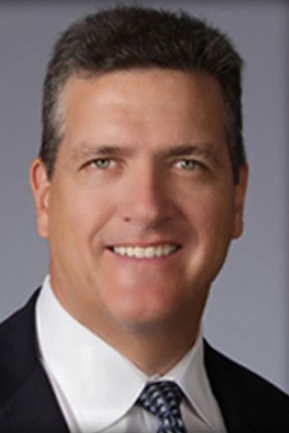 Romash also said the campaign issued one direct mail attack on Wolf after billionaire industrialist David Koch held a fundraiser for him and several Republican senators in New York last month. Whether Kudlow gets into the race or not, Duffy said Blumenthal “isn’t all that vulnerable,” because of his wide popularity among Connecticut voters. Duffy also said Kudlow doesn’t have any real name recognition among average voters, who don’t watch him on television or listen to his radio shows. 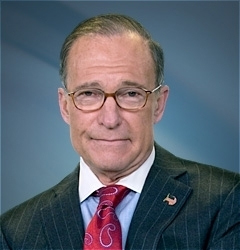 “Kudlow would be looking at a very expensive race in which he must both establish himself as a well -known and credible candidate, and make the case as to why Blumenthal doesn’t deserve a second term,” Duffy said. The Cook Political Report has placed Blumenthal’s race in the “solid Democratic” column. While the Blumenthal campaign has not turned its full attention toward Wolf, the Republican has hit Blumenthal on his decision to support the Iran nuclear pact and his blocking of a vote on a bill that would fund the Department of Veterans Affairs. “Blumenthal pounded his desk demanding accountability in his role as a Veterans Affairs committee member, and then, when the time came to support this measure providing accountability, he voted like a typical Washington Weasel,” Wolf said in a scorching release. Blumenthal said he opposed the GOP-crafted bill because it would have provided the Department of Veterans Affairs about $1.2 billion less than President Obama had asked for. “Unfortunately, even as our veterans too often wait too long for the health care they need and deserve, this Republican bill slashes necessary funding required to solve daunting problems, instead taking from those who already have given so much to our country and committing a serious breach of faith with those who served,” Blumenthal said in a statement. Blumenthal has a huge fundraising advantage over Wolf. As of Sept. 30, Blumenthal reported to the Federal Elections Commission that he had raised about $4.1 million and had $3.1 million in cash on hand. Meanwhile Wolf had raised about $345,000 and had $104,000 in cash at the end of the reporting period. If Kudlow gets into the race, he’ll have to play catchup. Schurin said it’s anybody’s guess if he will.